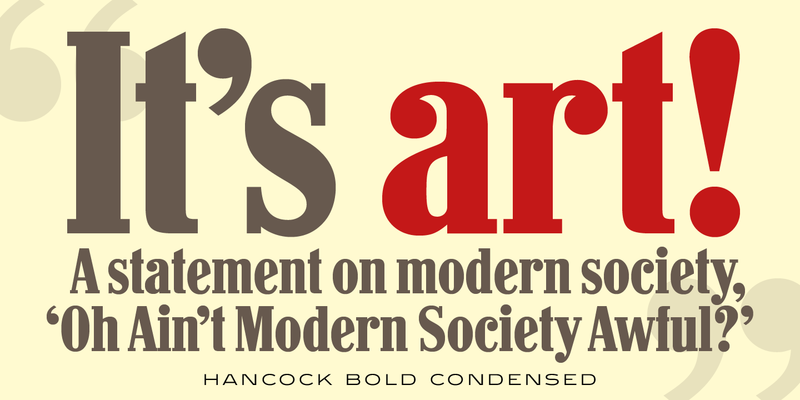 Hancock Bold Condensed is slab serif typeface. 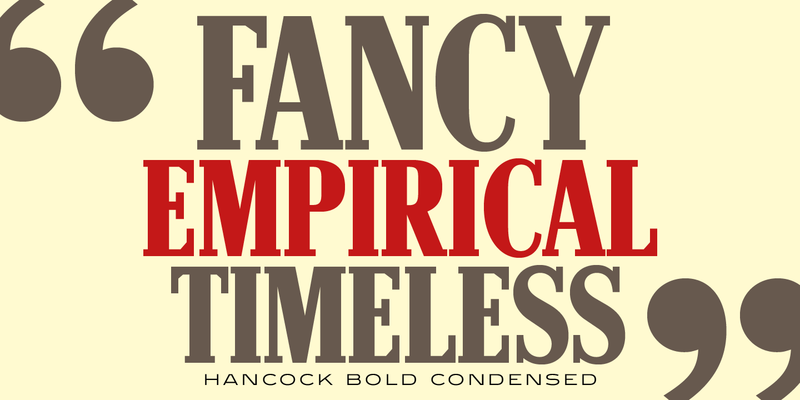 The original Hancock design was produced by the Keystone Type Foundry, circa 1903; a condensed version was added circa 1917 by Lanston Monotype. 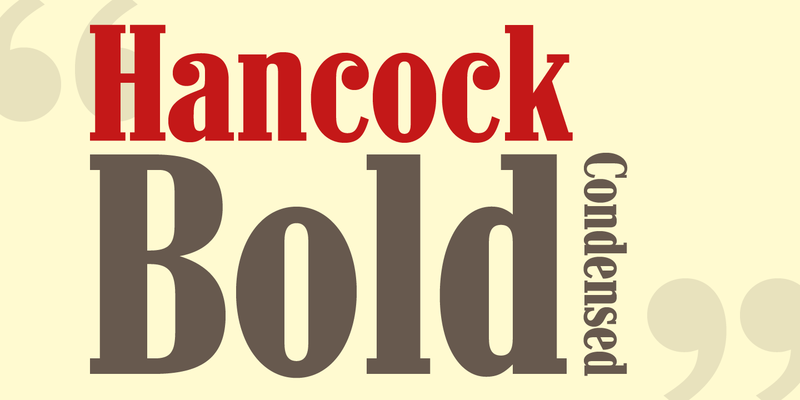 Steve Jackaman (ITF) designed and produced a digital version of Hancock in 1994, and completely redrew the typeface for its 2017 release. 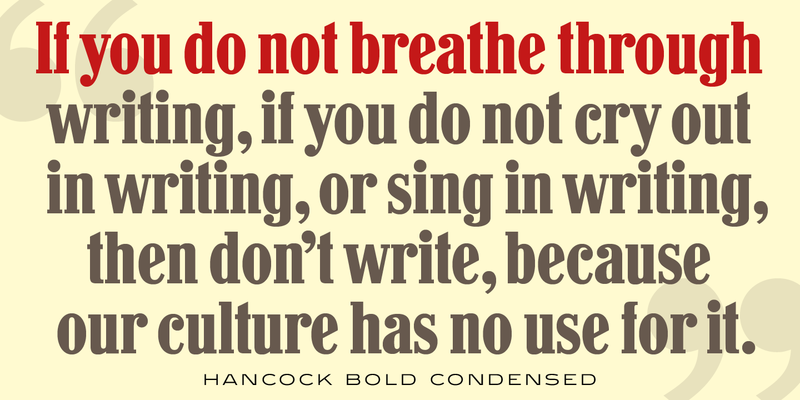 The new version has a 40% larger glyph set, and supports Latin 1 plus Central/Eastern European languages. 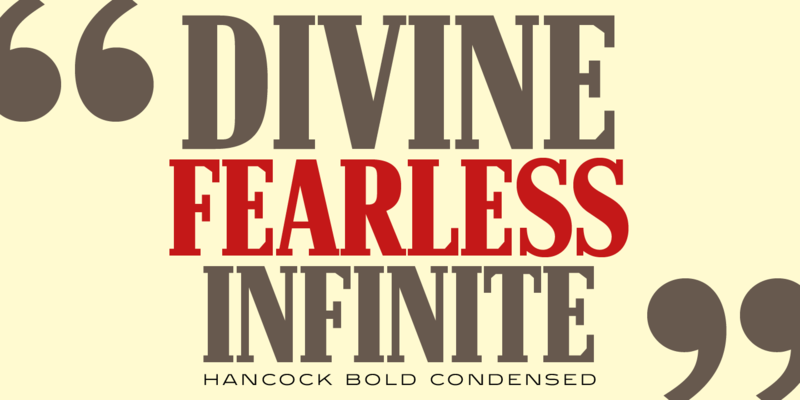 Hancock Bold Condensed is a trademark of International TypeFounders, Inc.
©1994, 2017. International TypeFounders, Inc.